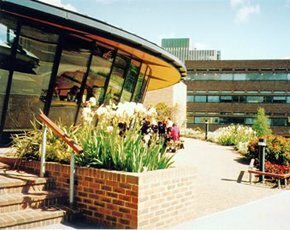 The University of Exeter is using IT to replace a manual system of processing overseas students to comply with UK Border Authority rules. The university is a Highly Trusted Sponsor (HTS) and must ensure that the 2,000 overseas students it enrolls every year are genuine. The system, from TSSi Systems, known as Validate, provides record-keeping and information cross-checking for oversees students that register at the organisation. Universities must apply for HTS status every year to comply with UK Border Agency (UKBA) stipulations that they are not allowing abuse of the visa system. The UKBA tightened up Tier Four immigration rules in April 2012. The tighter regulations affected overseas students studying in the UK, leaving many universities with a substantial compliance workload. "The UKBA can turn up unannounced at any time and ask us to provide records on our students," explained Sally Rutterford, international admissions officer at The University of Exeter. "As a result, it's vital for our HTS that we keep the most accurate records possible on all of our students. “We are always looking to improve service whilst ensuring accurate record keeping and the system enables us to capture, authenticate and update this information far quicker than was previously possible, whilst decreasing the risk of human error." The TSSI system enables the university to meet its obligations as an HTS by identifying counterfeit ID documentation, matching the registration data with application data scanned, interfacing with the student records system. It provides the university with early alerts of when a student’s visa is close to expiry. It enables the university to improve the efficiency of enrollment, data collection, record keeping and visa management for overseas students. It keeps control of resources, reduces the amount of paper used, enables the cross-referencing of disparate student data, keeps track of expired visas and identifies students who do not turn up, despite using the university as a sponsor. Lancaster University recently took on the Validate system when it realised if it was to retain its HTS status it would either need more people to process students or software to automate processes. UK universities are investing in back-office automation to reduce their costs. In the back office, where there is significant work required, there is an opportunity to make substantial savings and make institutions more effective at attracting, processing and retaining students. The vast majority of higher education establishments still rely on paper-based processes to manage students from application to graduation and even beyond. As a result it is estimated that up to 70% of a university's costs are human resources. Universities across the UK have been making hundreds of redundancies with back offices being hit particularly hard.